Some prophecies tell us about some very interesting celestial events which will happen in the future. Back when the so-called "blood moon" lunar eclipses occurred, I pointed out in this blog post that the events described by Yeshua (Jesus) and the Nabi'im (Prophets) are not the usual eclipses and meteor showers that we are used to, but incredible events that otherwise would be physically impossible given the known workings of our solar system. This solar eclipse, like the lunar eclipses I talked about then, seems to be among the common celestial signs that have occurred since the formation of our solar system, not the spectacular ones we are told to expect by the written servants of YHWH. I haven't heard a lot of the usual "omen" talk around today's North American eclipse, but it seems inevitable given the activity around just about every celestial event in the recent past that today's event already has been interpreted as something more significant by some very vocal people. This would inevitably lead to disappointment when emotional investments are made on a very imminent outcome that doesn't come to pass in the time that those playing that stock market were hoping for. The fear of these events is often what allows false prophets to flourish. Some of these will be well meaning but clearly mistaken people, while others will have a more dubious agenda. The point here is that the litmus test cannot be sincerity, because both of these groups are misleading their flocks. The latter dubious group often stays in the limelight just long enough to make a decent buck from the venture, after which they can disappear and leave behind a mess of smashed hopes, but ultimately both of these types are leaving behind smashed hopes. In other words, the litmus test is not the sincerity of the claimant, but the correct application of Scripture. If you are armed with what the Scriptures actually say and hold all such claims strictly to its testimony, you will be immune to such attempts. We all know that Elohim has promised to do some mighty things, but let's let Him be the one doing the promising. It's wise to be on our guard and watch for signs of events He has stated which will occur or which He will bring about, yes, but it is unwise to interpret every celestial event as a portent to disaster, judgement, or even reward. For those of you not in a location to see the total eclipse, or even a partial eclipse, NASA has some options for experiencing it online. Check them out! That was all it took for me to know what I had to do. I had to make teshuva (repentance) by ceasing to observe this occasion, and while I thought it would be easy to give it up as it seems like such a trivial holiday, I was very wrong. 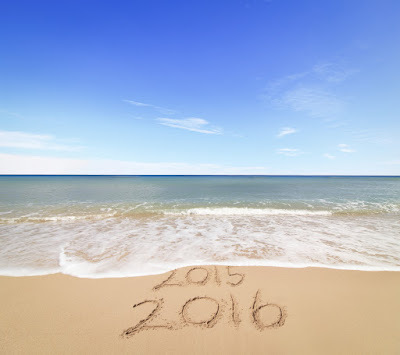 Much to my surprise, New Year's is the hardest holiday so far from which to withdraw myself completely. I severed emotional ties with Christmas, Easter, and other such things almost 25 years ago, so I don't feel any real connection with them anymore. Though I certainly did have those feelings at the time, my conviction was seasoned by my youth, and I emotionally cut ties rather quickly and resolutely. I am much older now and much more set in my ways, and dropping this observance took more effort than I imagined. What I liked about this holiday is that it centered on new beginnings, throwing away the past and starting anew, resolving to change your life in positive ways. In other words, it was a holiday that was about teshuva in some sense, i.e. changing direction, improving your life, reflecting on past mistakes or problems and thinking about how to actively correct them. I enjoyed the whole idea of waiting for midnight on New Year's Eve, and ringing in the new arrival of the New Year, that exact point when I could essentially throw away the past and begin acting on my resolutions, and of course, I liked doing so within the framework of merriment and mirth among friends and family. 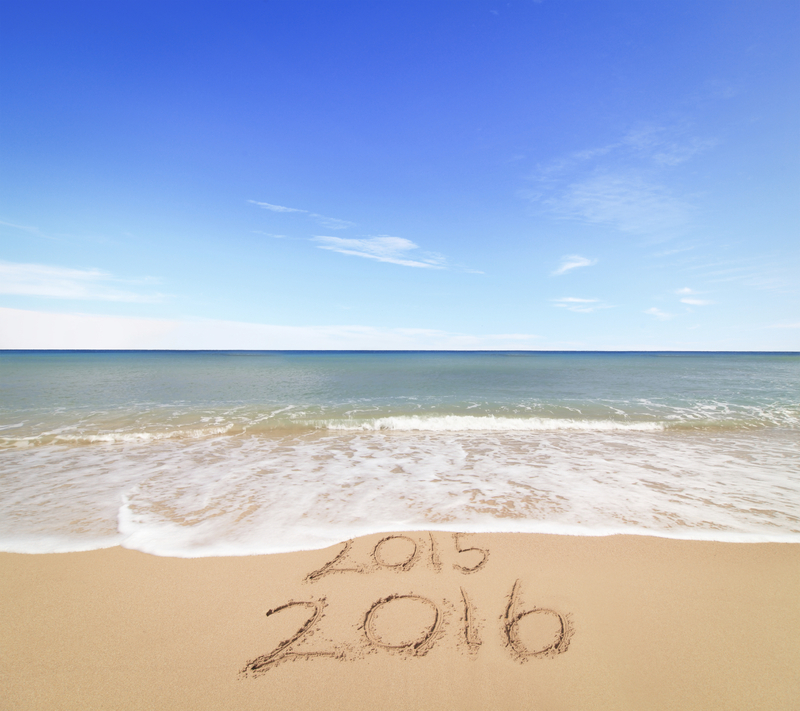 Resolutions are in a sense a form of teshuva, a form of repenting of your past deeds and resolutely changing your ways. So it was a bit ironic that I had to make teshuva by resolving to cease from observing this holiday in particular. The New Year's celebration was something I kept in my back pocket. I've enjoyed observing it for many years under the excuse that this was in fact a secular holiday, one with no religious basis and thus one I did not have to avoid to keep my relationship with YHWH Elohim pure. Sometimes I'd have this nagging question in my mind as to where this celebration and its customs came from, particularly with my knowledge that this structure for a year came from a Roman solar calendar, and thus, was possibly embedded in Roman mythology and the worship of Roman deities. But I would skip that concern because I enjoyed it so much and I truly felt my heart wasn't in the wrong place. I evaded any hint of its true origins because I think in the back of my mind I knew this might spell the end of another link I had with the world at large. In taking this tact, I was letting that desire for enjoyment override those reservations when they would arise. This is, of course, precisely what a great many Christians do around Christmas and Easter, and against which I've lectured many among them over the years. In other words, I was being a hypocrite. The first time I purposefully avoided New Year's, the decision had only come a day or so before, and thus I wasn't emotionally prepared for what cutting lose from that tradition would mean for me personally, I was heavily tempted all day to go to a party I had an open invitation to attend. It helped that I had so much work to do that day that I couldn't really justify it, but in the past I would have thrown the work to the wind and went out for some champagne with friends. It was immediately apparent to me how much I would miss the camaraderie of doing that. Far more than just celebrating resolutions, I wanted to be among friends at this time that the world considers to be an important annual event. The desire, basically a worldly desire to join the party specifically at this significant time of the year, gnawed at me the whole evening. I am extremely grateful to my Elohim that I live in a country, culture, and age in which religious liberty is so thoroughly ingrained that I don't have an expectation of having to resist at the cost of my own liberty or even my own blood, as so many have had to do in the past. Nor have I had the worst treatment possible from family and friends who didn't understand my decisions all those years ago. Many believers are not so fortunate in their family situations. There are Jews who were raised in strict Orthodox families who, having come to the knowledge of Yeshua HaMashiyach, had parents, brothers, sisters, and other family "sit shiva" for them, essentially treating these family members as if they were dead to them. And of course, it happens on the Christian side of things as well. I knew of one former Christian who was disowned by family after coming to the knowledge of his obligation to observe the Mitzvot (Commandments) of the Torah and making teshuva to that effect. My family, which has mostly Christian roots, might have given me a hard time many years ago over my religious decisions, but they were motivated by pain more than anger. Certainly, they never gave me a degree of penalty that would include permanent estrangement, and now they're so used to the idea, it only really gives them pain during holidays when they are reminded of me by my absence at their gatherings. I am grateful that this level of ostracism never happened to me. But that doesn't mean that I haven't had issues with loneliness and acceptance at times. I've had to give up a lot of things to keep myself qodesh ("set apart") to a Qodesh Elohim, and sometimes it's not just the celebrations and customs themselves, but the effect it has on my relationships with family and friends. You can feel very much like a constant outsider at these times of the year. Because those who are the most like-minded to my way of believing, my spiritual brothers, live such long distances away, I only really see them in Yerushalayim (Jerusalem) for the Chagim (Biblical Festivals). I think that's why it was hard to let go of this additional holiday celebration of the Roman New Year. It's a time of year I could share with people who don't share my belief system. Giving up worldly things like this one will certainly be worth it in the end. Whatever Elohim has planned in HaOlam Haba (the world to come) for those of us who have willingly entered into a covenant with Him and remained faithful is far greater than anything we can experience in the here and now, no matter how wonderful or personally meaningful we might consider these worldly ornaments to be. Notice how thorough these words are. We're being told that we must resolve ourselves to these words every day in every way, reminding ourselves throughout the day of their importance, and letting them guide our thoughts and our deeds unreservedly. We're being told that we must make continual teshuva to the One True Elohim, YHWH. We're being told to evict foreign deities like Janus from our front doorway, and instead inscribe these words on every doorway and gate, especially the doorway to our hearts and minds. We don't need a man-made holiday to remind us of our resolve to YHWH Elohim, particularly one that resulted from the worship of a man-made deity. Using that kind of holiday to celebrate new beginnings and to make teshuva in our lives could only serve to weaken the sincerity and sheer heart behind our resolve, and certainly would serve to disconnect the one true Elohim from those efforts. Our commitment to Him has to be an all-day and every-day resolution for us, an all-day and every-day making of teshuva to put Him first in everything, and so that we don't fall into the trap of doing these things reluctantly, it must be an all-day, every-day celebration. As I mentioned before on this blog, I've made a commitment to my Elohim to observe the Chagim, the three Festivals commanded anciently by Elohim to be observed by all males in the place where He chose for His Name to abide. And I choose to do this in the actual place where He chose for His Name to abide, that place being Yerushalayim (Jerusalem). My commitment is to do this for as long as I am able, and this means physically, financially, among other things. Since Chag HaSukkoth (The Festival of Tabernacles) is upon us, I am now seeing part of that commitment through by coming to Yerushalayim to observe that Festival before Him. I arrived in Tel Aviv yesterday around 3:15 p.m. and was eager to get to Yerushalayim (Jerusalem) before sundown. Because I follow the actual New Moon visible from Yerushalayim to determine my months (as the Torah more than adequately indicates) and not the traditional calendar of the Jews introduced in the 4th century, my first day of Sukkoth was not yesterday as it was for most Jews, but will begin on Tuesday evening after sundown and end on Wednesday evening after sundown (September 29-30); however, I knew I would need to carry a lot of luggage to my apartment, which is a significant trek from my parking site to the apartment I rent every year to observe these Chagim. I also knew I'd have to do some quick shopping, and carry the cargo resulting from that as well. And since I rent an apartment in a very Jewish neighborhood, I just didn't want do these treks in front of them after sundown, when their first day of Sukkoth, an annual Shabbat day, began. I'm keenly aware of how such things can cause offense, and since they don't understand and couldn't easily be made to understand the nature of our disagreement on the timing of the Appointed Times, I felt (and feel) that it's a good idea to avoid such things as much as possible. I had also planned to get my sukkah (temporary dwelling) out of storage at my friends' place in the City Center and put it up before sundown. I barely accomplished the first part of this, and really had no hope of doing the latter. After going through immigration, getting my luggage, renting a car, driving to Yerushalayim, and shopping, I had only enough time before sundown to carry all of the luggage (two suit cases and two carry-ons) and all three bags of groceries in a single trek. It was a rough trip, but I was able to do it. There was however no hope of putting up the sukkah, and I gave up on that idea as I really only need to put it up before Sundown on Tuesday, more than a day away. The truth is, by this point with all of the sleepless travelling, flight connections in Newark, New Jersey and Frankfort, Germany, and almost no rest time in between, I was just flat out exhausted and went to bed for the evening around 9 p.m. after observing that the Moon was indeed full. I woke up inexplicably around 4:35 a.m. and went up to the lovely rooftop balcony of the apartment I had rented, the very place I will be putting up my sukkah in the days to come, and sat down with a drink to take in the night air. Then I saw it... the same Moon I had seen earlier, only it was no longer full. It was about 1/3 of the way darkened. I have to say that I was pretty alarmed at first. I mean, you don't see this kind of thing every day, and immediately the prophecies of Yoel (Joel) and Yeshua (Jesus) came to mind about the moon not giving its light. The blood was pumping, let me tell you. I had to watch it all the way through because I still wasn't sure it would be a full lunar eclipse. It might be only partial, I was thinking. So I watched as the moon slowly but surely became completely darkened. Right at the point when no crescent was visible, someone in the distance blew a shofar three times, each one a rather long blast in succession. Though he was not really close to where I was, the sound pierced through Yerushalayim like one would expect it to on a quiet night like this one. It didn't take long for me though to realize what had happened. I had realized it long before the Moon was fully darkened. I had known about this lunar eclipse more than a year ago, but I had been ignoring it for that year because of the peripheral attachments that were being made to it, attachments of significance that I didn't share. As a result of this, I had forgotten about it completely. I was immensely fortunate that the ills of jet-lag had woken me up in time to see this phenomenon in action. But I was also fortunate for the lesson it taught me about reading into celestial events something that may not actually be there. As I mentioned, the reason I had blocked this out of my mind was because of all of the prophetic associations being made with this "blood moon" phenomenon. It isn't that I begrudge folks for having these opinions and looking with some interest, especially since this was the fourth lunar eclipse in the last two years, with each eclipse happening in exact six months increments, making for a phenomenon known as a Lunar Tetrarch event. It is certainly an interesting celestial event, so of course, note should be paid. My real problem with it was more or less the resolute surety that many have connected to the event, as if there can be no doubt at all that this is THE event that Yoel and Yeshua spoke about in their prophecies. "And I shall give signs in the shamayim (heavens or skies) and upon the earth: blood and fire and columns of smoke, the sun is turned into darkness, and the moon into blood, before the coming of the great and awesome day of YHWH!" (Yoel / Joel 3:30-31). "And immediately after the distress of those days the sun shall be darkened, and the moon shall not give its light, and the stars shall fall from the shamayim, and the powers of the shamayim shall be shaken." (Mattityahu / Matthew 24:29-30). 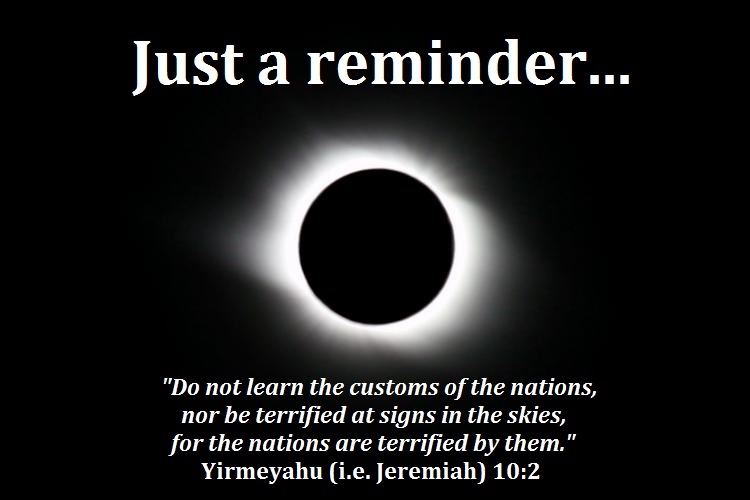 Granted, I am sure some will be able to interpret these verses differently, but if we take what this says literally, it is telling us that both the Sun AND the Moon will be darkened (with the Moon's darkness turning the color of blood) at basically the same time, or at least in very close proximity to each other. Celestially this kind of double eclipse is an impossibility. Why? Because the circumstances that cause each type of full eclipse are mutually exclusive. A total eclipse of the moon is basically when the Earth is between the Sun and the Moon, and the Earth is uniquely positioned to block the light of the Sun from reaching the Moon, in turn preventing the Moon from reflecting that light back to Earth. This is usually visible from any point at which the Moon is visible in the night sky, and completely hidden from those places in which the Moon is not visible, for what I believe are obvious reasons. A total eclipse of the Sun is basically when the Moon is between the Earth and the Sun, and the Moon is uniquely positioned to block the Sun completely from a particular viewpoint on Earth, making the Sun look like a large black dot with a slight ring of fire around the outer edges of its circle (which is the sun's still visible corona). Though the Sun and the Moon are much differently sized objects with the former drastically outsizing the latter, they both appear the same size from the perspective of Earth due to their different distances. Hence, the Moon can actually block the Sun completely from at least one viewpoint of the Earth. Notice, I said from a particular viewpoint, because unlike Lunar Eclipses, which will be visible from any area in which the Moon is visible, total Solar Eclipses are not visible from just any area in which the Sun is visible. The percentage of the Sun which is blocked is entirely dependent upon the area from which it is viewed. This perspective visible positioning of the Moon and the Sun must be just right for the Sun to be completely visibly darkened. While the Sun may appear fully eclipsed in one location, in another location at the same time, only a partial eclipse may be visible, and in still another, no eclipse will be visible at all. So basically, one requires the Earth to be between the Sun and Moon, and one requires the Moon to be between the Sun and the Earth. What this means is that for what Yoel and Yeshua describe here to actually occur is at least impossible from a normal analysis of the physics of these events. What this will likely mean for those who don't take the prophecies of the Scriptures seriously is that those verses are describing an impossible event and are thus nonsensical. But what that should mean for anyone who takes these verses seriously (i.e. myself and those who are reading this for an understanding of these prophecies) is that this cannot be describing a normal eclipse of either the Moon or the Sun. It has to be describing something unheard of, something never yet witnessed, something which cannot be explained by the fixed cycles of the Moon and the Sun, and further, something that likely couldn't be so precisely calculated for time and place as can be done for cyclical eclipses. Notice that Yeshua implies exactly such an unheard of event when he adds that the "powers of the shamayim (heavens or skies) will be shaken." Essentially this means that what we will see is something much more dramatic than even the double eclipse. We'll see something that will definitely cause the world to take notice. Yoel adds that we will see "blood and fire and columns of smoke" among the signs in the skies that Elohim will demonstrate. There's a lot more to what they describe than eclipses, even the normally impossible double eclipse described here. This future event is, I believe, something far greater and FAR more unique than the Lunar Tetrarch that certain Christian ministers have termed a "Blood Moon". 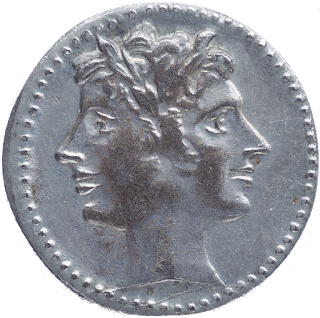 Lunar Tetrarchs are an event combo that has occurred seven other times since Yeshua came to the Earth The reason this one is considered special by those ministers is because each of the events occurs on the traditional Jewish calendar's days for Pesach and the first day of Sukkoth. Remember though, as I pointed out before, that if one goes by the method that the Torah clearly implies by observing actual new moons by looking for the opening crescent sliver, those days are a bit off anyway. The traditional Jewish calendar was introduced in the fourth century A.D. in an attempt to approximate the appearance of new moons in Yerushalayim after they could no longer be observed effectively by dispersed Jews exiled from the land of Yisrael (Israel). Therefore that calendar does not actually follow those lunar starting points in the first place, even now when Jews are more able to view the events directly in the night sky, having largely returned to the land of Yisrael. Since the current Jewish calendar only attempts to approximate those dates, the resulting dates on that calendar are only sometimes correct, while at most other times they can be off by several days, usually from one to three. This year they are off by two days. So no, this lunar eclipse did not actually happen on the first day of Sukkoth, not by any calendar computational methods that either Yoel or Yeshua would have been familiar with. Even if all four HAD happened on the right day, there's still the issue that only the last one was even visible from Yerushalayim (or any part of Yisrael) in the first place, simply due to the location of the moon in the night sky and the time of day in that land. The hard cold fact is that full solar eclipses, full lunar eclipses, and even lunar tetrarch events, are not so rare in even very recent times. They are much too common to identify them as definite signs of the end without some more information and research to tie them all together. So what am I really trying to say here? I'm trying to say that when someone is telling you that some celestial event is significant, you don't need to completely discount it, but you should also avoid a complete buy in until you've been able to do a little research of your own. Dig a little deeper. Try to see if all of the claims being made are valid, or if they are found wanting. Check each assumption used as a building block toward the thesis they present and validate that these are solid axioms and not just faulty assumptions. We are told to test every ruach (spirit), and that has to include the ruachot (spirits) behind claims such as these. Even now, I would not tell you to discount these things completely, but definitely be careful about how much you invest into something like this and always do your own research on those claims before selling the barn. So why so many exaggerated claims about giant blood moons over Yerushalayim and the Kotel? Because even basically good people can, in their desire to believe something so strongly, make some details up as they go along. Knowing then that the propensity to deceive is so great, and that the viral media world is full of much more false information and hype than it is truth, you should always strive to tread very carefully upon it.  Chag Sameach (Happy Festival) to all of you observing Chag HaSukkoth (The Festival of Tabernacles) this year. I hope you have a truly joyous Chag before YHWH Our Elohim! P.S. I'd like to send out a special thank you to whichever resident of Yerushalayim blew that shofar at the very moment the Moon became fully eclipsed and went completely dark (or red, as it were), That was a very nice touch, and I can only imagine that it startled the life out of more than a few of the city's observers! About four years ago, I was driving from Virginia to Texas and saw a billboard ad proclaiming May 21, 2011 to be the date of the "rapture". I remember being startled by it and missing some of the details, then thinking I would never see or hear of this again. But I did see it again. 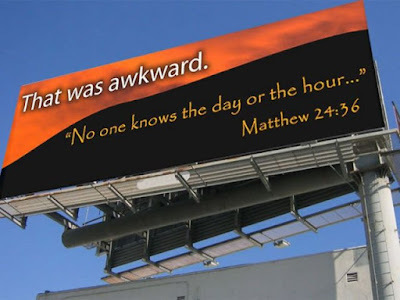 I can't remember how many I saw billboards like it on the way, but it was often enough that something I would normally have dismissed and paid no attention to became intriguing, and I was interested in knowing the story behind these billboards. For the record, I wasn't in the least convinced that any date proclaimed on a billboard would be authentic, but it was the first time in my life that I had seen someone take the "Burma Shave" approach to advertising an apocalypse. It struck me that there must be a lot of money behind this operation, and where there's a lot of money, there's likely a lot of people making big sacrifices for something they think is very important. With that, of course, comes the strong likelihood of many disappointments, both quantitative and qualitative. 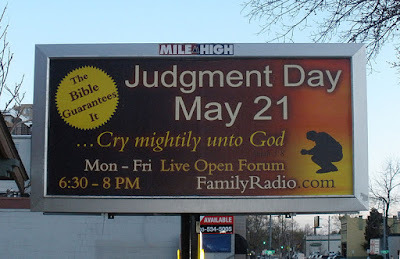 After some research, I found out that this national billboard campaign announcing the end of times was being headed up by Harold Camping, a man who had taken a survey of the Scriptures, particularly prophecy and even more particularly the prophecies of Daniyel (Daniel), and had come up with the numbers he felt certain indicated the date of the so-called "rapture". What's more, he had made several of these prophecies before, and of course as we know, none of them had come to pass. Here he was at it again. "And when you say in your heart, ‘How do we know the word which YHWH has not spoken?’, when the prophet speaks in the Name of YHWH and the word is not, or comes not, that is the word which Yahweh has not spoken. The prophet has spoken it presumptuously. Do not be afraid of him." (Devarim / Deuteronomy 18:21-22). "You may be asking yourselves, 'How can we tell if a prophet's message really comes from YHWH?' You will know, because if YHWH says something will happen, it will happen. And if it doesn't, you will know that the prophet was falsely claiming to speak for YHWH. Don't be afraid of any prophet whose message doesn't come from YHWH." (Devarim / Deuteronomy 18:21-22). I believe this should give individuals who carelessly make pronouncements in the name of YHWH great pause. This startling statement of the obvious was clearly missed in this prophetic numbers game that Camping and his followers were playing. It doesn't matter if you believe in the Torah or specifically the Sefer Devarim, it suffices to acknowledge that Harold Camping does, or at least claims to do so, and so any point that these verses made would be extremely apt to him and his followers. He's now relegated (again) to the status of someone who speaks presumptuously for the Elohim that he claims to serve, and by that Elohim's own words, he cannot be relied on to speak for Him. That's not a condemnation from me at all, rather, it's something that comes out of the testimony that both he and I subscribe to, available to anyone with an internet connection and access to Google, or a dresser drawer with a Gideon's Bible. Mr. Camping may have been sincere in his belief that his calculations from Sefer Daniyel among other portions of the Scriptures were authentic, but he missed the mark again, and once again took some people on the ill-fated journey with him. This is the age of reality television, an age when the misfortunes of others are the fodder of entertainment, and it's tempting to laugh at the spectacle. I was doing that all those years ago, before the set time approached, something of which I am somewhat ashamed in retrospect, but now that all of that excitement over the events is long gone with the passing of years, I'm not finding the situation of those people who staked so very much on what turned out to be so very little to be all that funny. There are pieces to pick up for these people who staked their lives, reputations, jobs, and property on what they mistakenly thought was a revelation. There were plenty of sincere followers who were left without quite a bit of their money, time, and self-esteem, and I don't think it's a stretch to believe that many of them lost their faith. Mr. Camping was the instigator of this great loss. The honorable thing to do would have been to return what is left of the money and just admit that he has received no revelations about the precise time of the end, that he was speaking presumptuously, and that it is an error he will not repeat. I believe he did most of the latter, but I never heard about the issue of the money. I would, of course, be very (pleasantly) surprised to hear that such a return ever occurred. I hope that any of us who have made a commitment to wait for YHWH understand just what it means to wait for Him. It means that we won't know exact dates. It means that we won't know exact times. It means we won't know the exact sequence of events. We are tasked to watch for current events with respect to revelation, and yet remain balanced enough to avoid jumping onto every bandwagon that comes our way declaring the end of the world. We have to work hard not to be taken in, to be responsible for how we allow our resources to be used, to ensure that we are not party to any deception. We have to take both the encouragements and the warnings of Yeshua seriously, as he related in his so-called "Olivet Prophecy" (Mattityahu / Matthew 24, Marqos / Mark 13, Luqas / Luke 21). Most of that sequence is about patience, caution, and being on our guard against deception and corruption, as we wait confidently for the end we are certain will come despite not knowing how or when. And we must do all of this while we strive to keep our garments white and clean, keeping ourselves free from the corruption of the world around us. And that includes the corruption of money, because the end of the world has always been big business for those caught up in that love affair. Mr. Camping passed away mid-December, 2013, so he's no longer here to make any amends that he hadn't already made, but I do hope that those like Mr. Camping can see that their talents to persuade need to be reigned in by some common sense and decency before the Living Elohim. And I certainly hope that it doesn't escape the realization of any false prophecy profiteer that purposefully profiting from false alarms will be an act of particular interest when YHWH does come someday as a righteous judge. One certainly doesn't have to be a prophet to see that. When I was a young man growing up in what was basically a Christian environment of the Protestant persuasion, I loved observing Christmas. It was certainly my favorite holiday. It was festive, everyone had warm spirits, and I loved getting presents and even giving them. My sister, my brother, and I would wait eagerly throughout the season. We would anticipate putting up the Christmas tree, decorating the house, going Christmas shopping, going to sing carols, and going to the local department store to sit on Santa Claus' lap. I really saw no issue with Christmas observance in and of itself, though I did always have this nagging feeling that something wasn't quite right. Every Sunday, I'd go to Sunday school and Children's Church, a version of the larger Sunday worship service held in its own building and catered specifically to the sensibilities of the children of the congregation, and I'd learn about "God" and "Jesus" and all of the patriarchs, prophets, and apostles. It was eventually there that I came to realize that things were a bit off. This was because along with all of these odd traditions that I couldn't really correlate to any religious beliefs I was taught, there were also seemingly unrelated religious aspects to the same holiday. My young mind couldn't correlate these things together. I couldn't explain how a holiday that was about the birth of an important person that we called "Jesus" would instead give so much emphasis to a different character I couldn't identify within my religious instruction called "Santa Claus". I could understand why we did the Christmas tree by itself, because it was certainly fun and pretty, but why did we throw in a manger scene and give it much less emphasis? There were two seemingly distinct traditions within the holiday which were mixed up with each other, and I just didn't get why. Now suffice it to say, Christmas wasn't the only religious holiday I had these questions about. I also felt the same confusion around Easter, another holiday that seemed to have an almost schizophrenic devotion to two completely different streams of thought and tradition. But certainly Christmas was the one that gave me the most pause because it was the one I enjoyed the most and to which I had the most personal devotion, and so it was the one that perplexed me the most. But as many children that age do, I didn't allow myself to explore the root causes of my confusion. I had an implicit trust of my parents and my larger family at the time, and I could have happily forgotten about the subject for the rest of my life, never bringing it up again. Much of my childhood attachment to this holiday grew as my earliest years passed by; however, as I began to emerge from childhood and into my teenage years, I grew more and more uneasy about these things. I attended Church services regularly, and happily really. I enjoyed learning about the faith I was being reared in, and I wanted to know more about it. I had a hunger for deeper knowledge, and I strongly felt that "God" was leading me in a direction, that He was gripping my very being and slowly leading me to understand these deeper things as I was ready for them. Around this time, I began to hear many adults, particularly religious adults like my grandparents, repeating what we would today refer to as a meme: "We must keep Christ in Christmas". This meme struck a chord with me. I felt there was much truth in it, and yet I also couldn't help but wonder what the implementation of such a meme would mean for this special holiday. Just what would a holiday like Christmas be without these non-Christ-like traditions? Would it be anything like Christmas at all? And why were these individuals who were so oft repeating this meme about keeping "Christ" in Christmas the very ones who seemed most devoted to those traditions that had no obvious connection to "Jesus", those traditions that seemed more secular and fairy talish? Over the years, I felt like I was constantly wrestling between my devotion to the customs that seemed to clearly revolve around "Jesus" and those customs that clearly revolved around some other mysterious thing that I could not identify. 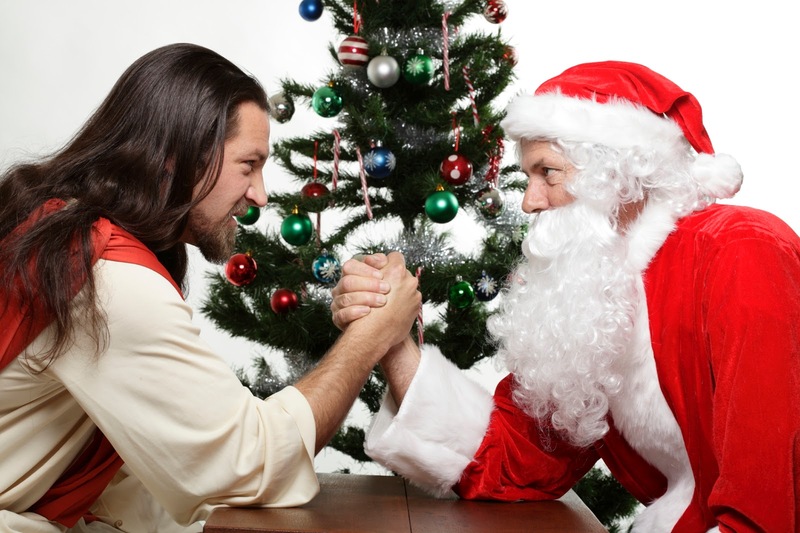 It was as if "Jesus" and Santa Clause were fighting in my head for my loyalty. By my late teens, I could no longer escape the need to look more directly into these things and gain a better understanding of just which part of Christmas was acceptable for someone who wanted to devote himself to the religion and not the tradition. Because I really had no idea where to look, the information sort of trickled in over the forthcoming years. After a number of years of looking into it when I could, and gathering tidbits of information here and there, all mostly retrieved on autopilot, sometimes without conscious participation, I had an epiphany of sorts in my latter teen years that put the conflict into a new perspective for me. I came to a very sudden realization that the traditions related to the birth of an important divine emissary, the general timing of December 25 for his arrival, and the traditions that seemed to be so unrelated to those two elements, were in fact all in the same family, which is frankly something that up to that time I had never imagined they could be. All of those the traditions I hadn't been able to associate to a religious cause had in fact been built upon a religious foundation after all, one which was certainly much older than Christianity. It was in fact, the concept of "Jesus" which had been the insertion into this ancient observance, an observance which seemed to cross national and cultural boundaries all over the world within various mystery religions. I realized to my increased surprise that my goal shouldn't be to put "Christ" back into Christmas, but more properly to remove both "Christ" and myself from Christmas altogether, I made that difficult decision around the time I turned 18 years old, much to the chagrin of most of my family and friends. A few weeks ago, before Christmas came upon us, I was reminded of just why I had to do this. I was Facebooking and saw an interesting image which showed a Teutonic deity, likely Odin, adorned with holly and mistletoe, along with a caption that said "Keep the Yule in Yuletide". Shortly thereafter, I saw someone comment on a website article which said "Put the Sol Invictus back into Solstice". The memes themselves were likely less intended to be instructive as they were intended to incite Christian sensibilities, but regardless of their intent, the actual point could easily be argued successfully as valid in both cases. I want to present some of my reasons for looking at the holiday this way now, but unlike those memes and the people behind them, I am not trying to troll Christians. I was, after all, in their shoes for many years of my life, and I see no comedy in this kind of disillusionment, even the necessary sort. I see some value in trying to help all who read this understand why this holiday isn't what they likely believe it to be, and why it isn't really a suitable holiday to celebrate anything related to the Elohim of Yisrael. I know this won't be news to everyone; many have known this information for a while and made peace with it in some way, either by rejecting the holiday as I have, or by embracing it anyway through a number of rationalizations. But there are also some who don't know this information, and I write this primarily for them. Long before the birth of Yeshua ("Jesus"), what we know now as Christmas was being celebrated by various brands of polytheists all over the world. Romans celebrated Saturnalia, a winter-solstice festival of candles, feasting, gift-giving and caroling. The festivities went on for several days, culminating in the final day December 23. Likewise, December 25 was the birthday of the Persian sun god Mithras among many other deities related to the worship of the sun, and the day of the suicide/resurrection of the Greek deity Attis, both of these mythological events being well suited to a time when the sun slowly dies with shorter and shorter days, only to be reborn after the grand day with longer and longer days. Various other traditions also existed from differing sources which were also related to these days -- Celts, Saxons, and Germans put large significance on longevity symbols such as evergreen trees and shrubs, which stayed green in the Winter and symbolized their own ideas about rebirth and eternal life, and fertility symbols such as holly and mistletoe. The various pagan cultures added a variety of other traditions. Ancient Germanic Europeans added the Yule log, named specifically for the celebration of the pre-Christian Festival known as Yule and burnt on that holiday, and the name by which many Europeans still call "Christmas", and one which later Romanized Celtic cultures refashioned into a traditional Christmas dessert. Germans specifically began to adorn their evergreens and move them inside, and just about every ancient observer of these festivals had some "spirit" of the season who was jolly, gift-giving, and often a god of some sort who rewarded good behavior. For many, it was the Teutonic deity Odin, mentioned in the first paragraph, which was one of the clear forerunners of what Americans call Santa Claus, and other cultures call by other names. Some European cultures had a conversely evil "spirit" (or god) who punished bad behavior, such as Krampus. The earliest references we have to the tradition of observing the birth of Yeshua come from around 200 C.E., observed by early Christians in Alexandria, Egypt. However, there was no consensus on the date, and certainly December 25 was not the only date. Additionally, we have no real resource that describes these celebrations with anything other than a passive relationship to the modern one we know. "Christianity" became the State religion in the fourth century, and by the efforts of the Council of Nicea in 325 C.E. and succeeding definitive Councils, and eventually a mandate was issued for everyone living within the Roman Empire, excluding those Jews who did not believe in Yeshua, to embrace that new State religion. It was certainly not going to be easy to sell the idea to the various religious cultures living in the now reunited Roman Empire, and finding common ground to quell the inevitable rebellion of the inhabitants of Roman territory was a must. What we are reading in the previous quote is that early leaders in the Catholic Church seemed to have recognized that those who were now embracing the new religion were including their older celebrations in a new light, one that replaced their deities with the venerables recognized by the new State faith. The first official order which accepted this change and merged the two customs came by Papal pronouncement, that is, an order of the reigning Pope, in the year 350 C.E. Merging these celebrations into a new "Christian" celebration around the birth of Yeshua, including the keeping of the pagan customs associated with them now branded with a new "Christian" spin, was a masterful move to assimilate pagans and polytheists into the now State-approved and State-mandated religion. 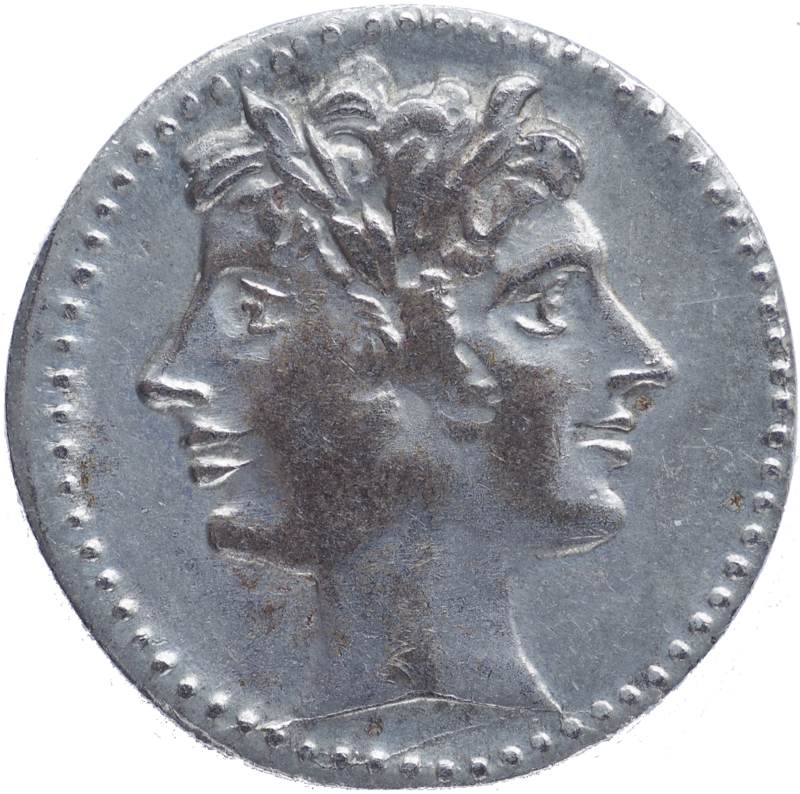 December 25 was a particularly apt choice in bringing in the followers of Mithraism, a religion that was in direct successful competition with early forms of what most now call Christianity, along with a few other religions, and it was just close enough to those who missed the day by one or two before or after to be an acceptable alternative. Pope Julius, recognizing that they all centered on or near the Winter Solstice, merged customs and timing around these various solstice celebrations into a convenient religious connection for Christians, making the new religion all the more palatable to them, and all the more appealing to those non-Christians who now had no choice but to convert. His sales pitch was basically that nothing significant would change in their observances -- just the "god" they worshiped. "In 350 AD Pope Julius I declared December 25 the official date and in 529 AD Emperor Justinian declared Christmas a civic holiday. Further legislation by the Council of Tours in 567 AD officially made Advent a period of fasting and preparation; the time from Christmas to Epiphany (the twelve days of Christmas) was also declared part of the festive season. Here, the Mashiach (Messiah) is referred to prophetically as the "Sun of Righteousness". This is a rare prophetic reference, and more likely relates to the coming of the "light", to which he is more commonly referred in the Ketuvim Netzarim (New Testament). However, just this mere reference to the sun allowed the masses to relate this day in which the "Sol Invictus" (Unconquerable Sun) was reborn every year to the birth of this unrelated "Sun of Righteousness". Popes came and went, and while some of them such as Pope Leo I had objections to these revivals of customs surrounding Solar cycles, each of them preserved this assimilation, among others, while certainly knowing of their origins. This was likely seen as a valid compromise despite the obvious problem with incorporation of polytheistic customs into a (supposedly) monotheistic religion, because, after all, didn't the Pope have the keys to the Kingdom -- and thus, didn't he have the authority to merge whatever he felt necessary? Wasn't whatever he said bound in the Shamayim (Heaven) and on Earth? From that now dominating Catholic standpoint, he surely did hold that authority to every man who mattered and held power in the Western branch of the Roman Empire. So tied to Papal authority was this winter celebration, that when the Protestant Reformation first occurred, one of the first things rejected by many branches was Christmas and all its questionable festivities, especially those who immigrated to America. It took more marketing, this time in the form of secular consumerism, to break this hold and push Christmas into the nearly universal "Christian" festival that it is today. This was helped along by Queen Victoria, who began prominently participating in the German Christmas festivities, including the Christmas Tree, after marrying a son of German nobility, which helped promote the customs and consumerism behind the current holiday. This should go without saying, but it apparently doesn't so I say this now: someone who follows the Torah and the Besorah (Gospel), who keeps the mitzvot (commandments) of Elohim and the testimony of Yeshua HaMashiach, doesn't recognize Papal authority to malign the pure worship of the one true Elohim by mixing it with the useless customs of polytheists, nor for that matter the authority of a dead Queen, nor the authority or needs of merchants, nor any other class of individual justifying for themselves the virtual need to participate in customs that have no place in the worship of the Creator YHWH Elohim. No number of theological contortions, or reverse-engineering, or wishful thinking, or warm Christmas hearts, will bless away the abhorrence that they clearly are to the Elohim to which they are mistakenly (and often malignantly) directed. They have nothing to do with the birth of Yeshua, and everything to do with the worship of the worthless deities of the nations. "When YHWH your Elohim will cut off the nations from before you, when you enter in to evict them, and you evict them and live in their land, be very careful that you are not ensnared to follow them after they are destroyed before you, and be sure that you do not inquire after their gods saying: 'How did these nations serve their gods? even so will I do likewise.' You will not do this to YHWH your Elohim, for every abomination to YHWH, the things he hates, they have done to their gods; even going as far as to burn their sons and their daughters in the fire to their gods." (Debarim / Deuteronomy 12:29-31). Thankfully, the older Yule traditions that involved human sacrifice are no longer part of the Festivals, but these warnings from the Mouth of Elohim Himself don't allow any of the rest either. No matter how minor we may think some custom of polytheistic worship which we enjoy is, Elohim describes them collectively as "abominations" and "the things he hates". The Children of Yisrael were not simply worshiping Ba'al alone; they were mixing practices of that deity's worship into the worship of YHWH. In this statement, Eliyahu was calling for a complete rejection of Ba'al in and of itself, and also by inference a removal of those things that had no place in the worship of YHWH, because as we just saw in the Torah, YHWH declares that customs used in the worship of foreign deities cannot be circumcized or baptized or any other manner of polished for legitimate use in the worship of the One True Elohim. Keeping them alive in our lives and cultures is essentially wavering between two opinions. "YHWH, my strength and my fortress, my refuge in the time of distress: the nations will come to you from the ends of the earth and say, 'Our parents have certainly inherited nothing but lies, worthless things in which there is no value. Can a man make gods for himself, when they are not gods?' Therefore I will teach them this once, I will teach them my power and might. Then they will know that my name is YHWH!" (Yirmeyahu / Jeremiah 16-19-21). "And YHWH will move forward and fight against those nations, as He fights in the day of battle... And in that day his feet will stand on the Mount of Olives, ... And the Mount of Olives will be split in two, from east to west,... YHWH your Elohim will come, and all the Kodesh ones with him... and in that day it will be that Living Waters will flow from Yerushalayim, half of them to the Eastern Sea and half to the Western Sea, in Summer and in Winter alike, and YHWH will be Sovereign over all the Earth. In that day YHWH will be One, and His Name will be One.... And it will happen that all who are left from those nations which fought against Yerushalayim will go up from year to year to worship YHWH Tzva'ot (YHWH of Hosts), and to observe the Festival of Sukkot." (Zekaryah / Zechariah 14). "Flee from Babel! Run for your lives! Do not be destroyed because of her sins. It is time for YHWH's vengeance; He will repay her what she deserves...Come out of her, my people! Run for your lives! Run from the fierce anger of YHWH!... Listen! The days are coming when I will punish the idols of Babel, and her whole land will be put to shame" (Yirmeyahu / Jeremiah 51:45, 47). "Then I heard another voice from the Shamayim (Heaven) saying, 'Come out of her, my people, so that you will not share in her sins, so that you will not receive any of her plagues" (Hit'Galut / Revelation 18:4). "If anyone comes to me and does not set aside father and mother, wife and children, brothers and sisters -- yes, even their own life -- such a person cannot be my talmid (disciple)." (Luqas / Luke 14:26). "Again, the kingdom of the Shamayim (Heaven) is like a merchant seeking beautiful pearls, who, when he had found one pearl of great price, went and sold all that he had and bought it." (Matityahu / Matthew 13:45-46). Many of us are faced with a decision to give up several things we know and love to correct our relationship with Elohim. For some of us, depending on our circumstances in life, that could be giving up everything we know and love. Regardless of our circumstances though, we should all be ready to give up everything that is necessary to bring ourselves into covenant with the One who authored our existence. The price is big, but I believe it will be well worth it. For those of us who have ears to hear and hearts to comply, let's endeavor to get "Christ", or rather as I prefer, "Mashiach", firmly OUT of Christmas, a holiday in which he clearly does not belong. Let the Pagans have their circle meetings, and we can embrace YHWH without that incompatible baggage. There are much better things in store for those of us who love YHWH our Elohim, the One True Elohim, with all of our hearts, minds, and souls! If you prefer to stick with your golden calves, the latter praise simply cannot be said of you, neither in this age nor in the age to come.